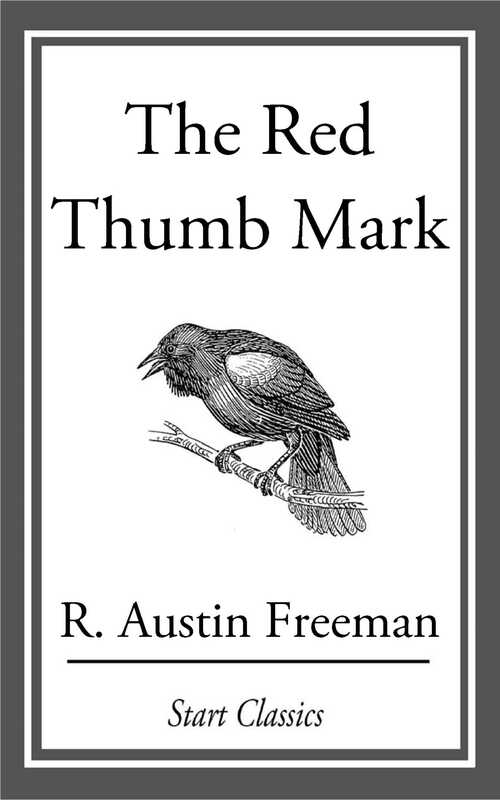 The Red Thumb Mark is the novel that introduces to the world one of the greatest "scientific" detectives in all literature: Dr. John Thorndyke. It is rightly regarded as one of the all-time classics in mystery fiction. Raymond Chandler, for example, who typically hated British detective fiction for its consistent implausibilities, found Austin Freeman's work and The Red Thumb Mark highly entertaining and readable. The novel concerns Thorndyke's attempts to clear the name of a young man accused of stealing diamonds from a safe. A thumb mark (finger print) near the scene of the crime is the only evidence against the young man, but it is decidedly damning. Add a little romance, a sinister villian lurking in the background, and you have the ingredients that make up this story. I found the work to be wonderfully exciting. Watching Thorndyke break down the evidence against the young man is a fascinating expereince. Though a person could argue that too much detail is given to the "science" aspect, you have to understand that these scenes are the backbone of this type of detective story.